Kids across the nation are excitedly anticipating the holiday vacation. They dream of sixteen uninterrupted days of freedom from homework and tests. Parents, on the other hand, see a frighteningly long stream of dull days with children bickering or complaining of boredom. 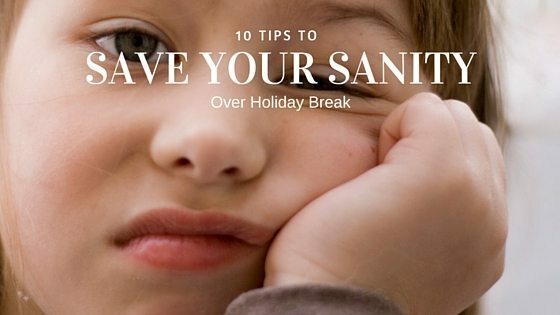 Here are ten ideas that just might rescue your holiday vacation. Make Back Up Plans. Sometimes everything goes just the way you intend, and everyone is satisfied. Other times, there are situations that are beyond your control, like long wait times, unexpected errands, broken dates, and more. These disruptions can take a real toll on children’s self-control, so be sure to have a few kid-pleasing back pocket options ready to go at a moment’s notice. Pack some new books or quiet toys in your tote when you are out running the errands. Pick up a new DVD when you see one on sale. Set up a Pintrest board and collect craft ideas that you have all of the supplies to do. Dredge up a few game ideas from your own childhood or a kids’ idea book to teach youngsters when things get slow. Try some children’s puzzle books. Whatever you choose to prepare, make sure it’s grab and go ready so you can trot the idea out when kids need it most. Occupied kids are usually well-behaved kids. Do impromptu calisthenics. A little bit of cardio-inducing movement goes a long way to keeping a healthy body and a positive attitude. Set up an indoor obstacle course. Set up a course to go around, over, under and through household items and furniture, then time the racers. Sing (and do) some active songs. Check your favorite video site for camp songs with motions, then sing and play along. Put on the music and dance, dance. Do something nice for others. It’s a proven fact that when we take our mind off of ourselves and focus on others, our outlook on life improves. Make cards or crafts for a nursing home, do some chores for a neighbor, walk the dog, or earn some money to donate to a charity. Enforce some alone time for everyone. Too much togetherness can wear on anyone’s nerves. Try having a mandatory thirty or sixty minute period where everyone stays to themselves. Read, play a one-person game, play in your room, or rest. Involve the kids in the holiday preparations. Let them help choose the traditions and plan the festivities. When people are invested in the events, they are more likely to cooperate with the preparation and to enjoy the activity. Reward appropriate behavior. It’s very easy to focus on the negative, especially when we adults are under a bit of stress. This year, try looking for the positive behaviors instead. (And yes, you should still nip those unacceptable behaviors in the bud!) Compliment jobs well done, cooperative attitudes, defusing behaviors rather than inflaming behaviors, and so forth. Some children respond best to tangible rewards, so use star charts, tokens or other systems if you need to. Do a project. Sometimes children need a focus. Try having them do some sort of large, complex project appropriate for their age and stage. Ideas include putting on a show, writing and producing a play, developing a family newspaper, setting up a museum, or even creating a town or world on paper by drawing or writing. Let them earn privileges. Except for basic care and breathing rights, nearly anything can be considered a privilege. If you find your brood is having trouble with civil behavior or other niceties, try reversing your management strategy. Instead of taking away the fun stuff, let them earn it. Set up some clear expectations and keep track of their behavior. When they meet the criteria that you’ve set up (and told them about), then bestow the privilege of attending a party, watching television, playing video games, or whatever they find motivating. Positive management is always more effective than negative, especially when the adults are under stress. Stick to a schedule. Many underestimate the importance of routine for children and even for teens. Irregular bedtimes and mornings, disrupted meal patterns, and other changes to the household schedule can really do a number on kids’ behavior. 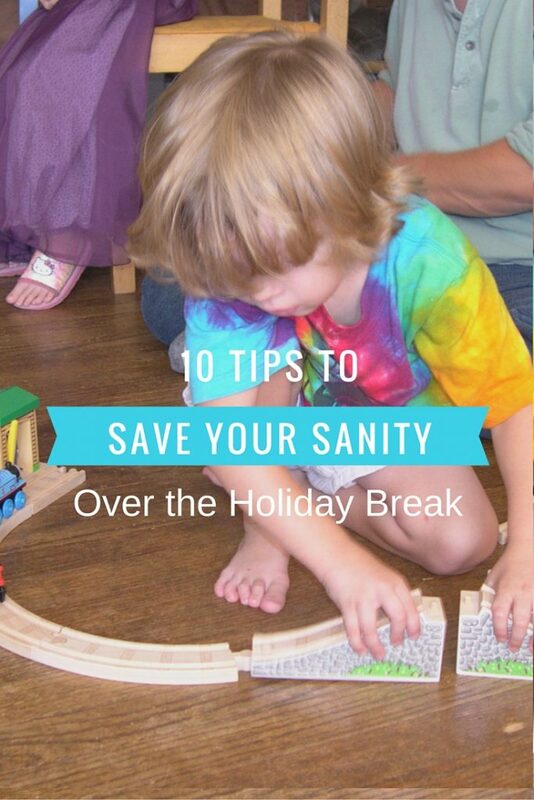 Don’t add to their stress by allowing wild variations in the family schedule. As far as possible, stick to what is normal during school and work days. Try to fix the usual foods at most meal times. Nearly everyone thrives on routines, so you’ll find the kids feel better and behave better. You will, too!